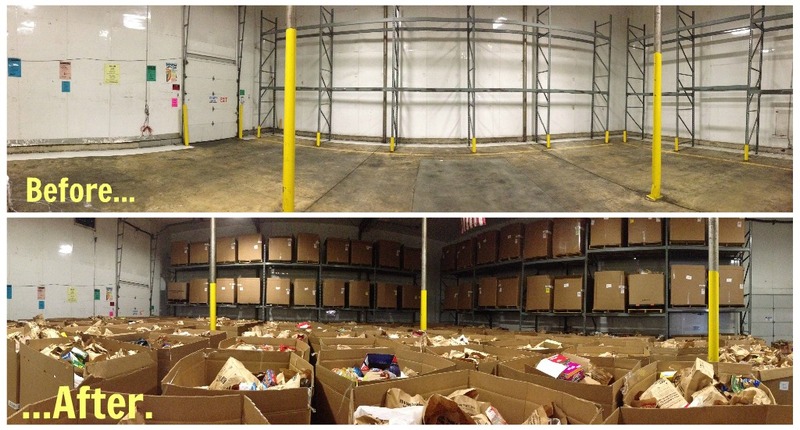 What does it take to put together the largest one-day food drive in the country? 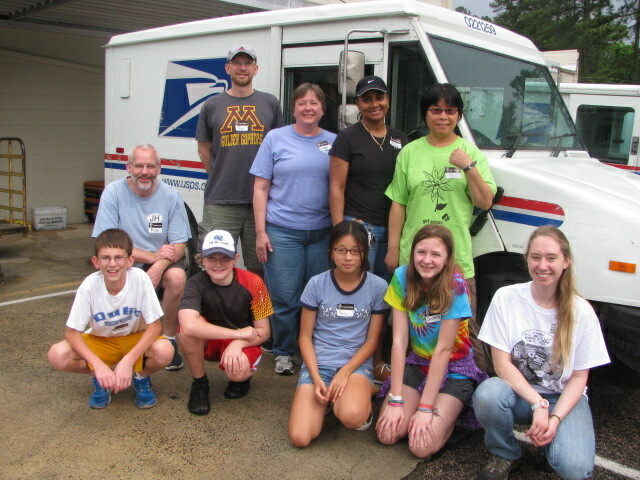 Every year on the second Saturday of May the National Association of Letter Carriers (NALC) collects food donations in addition to delivering mail, helping to provide food assistance to millions of Americans who struggle with hunger. For months, the NALC headquarters works with branches around the country to coordinate 180,000 letter carriers as they prepare to collect donations from mailboxes in more than 10,000 communities nationwide. Last year, letter carriers collected 74.4 million pounds of food along their postal routes, the second-highest amount since the NALC’s food drive began in 1992. The Food Bank works with 30 post offices and 1,800 letter carriers in Raleigh, Durham, Wilmington and Greenville. That’s certainly a lot of ground to cover, but in its 22nd year, this food drive runs like clockwork (with the help of a lot of teamwork, of course!). Our Volunteer Services team provides almost 200 volunteers across our region to help the letter carriers collect donations in the community and sort the food back at our distribution centers. Our Operations team provides trucking support to help pick up donations and take inventory once it arrives at our distribution centers. With thousands of pounds of food coming in on the same day, you can imagine it takes a lot of precise coordination and creative assembly lines to move the donations quickly off the trucks and onto our shelves! And finally, our Food Drive & Special Events team is the glue that holds it all together, working constantly with the NALC to help manage all of the logistical details that make this enormous food drive so successful. Any event of this magnitude requires a lot of planning, preparation and teamwork so that we can have a positive impact on the community. But this annual food drive makes it easy on us because, well, it’s so simple for our community to donate! Pack a bag of food and set it by your mailbox on Saturday, May 10. That’s it! 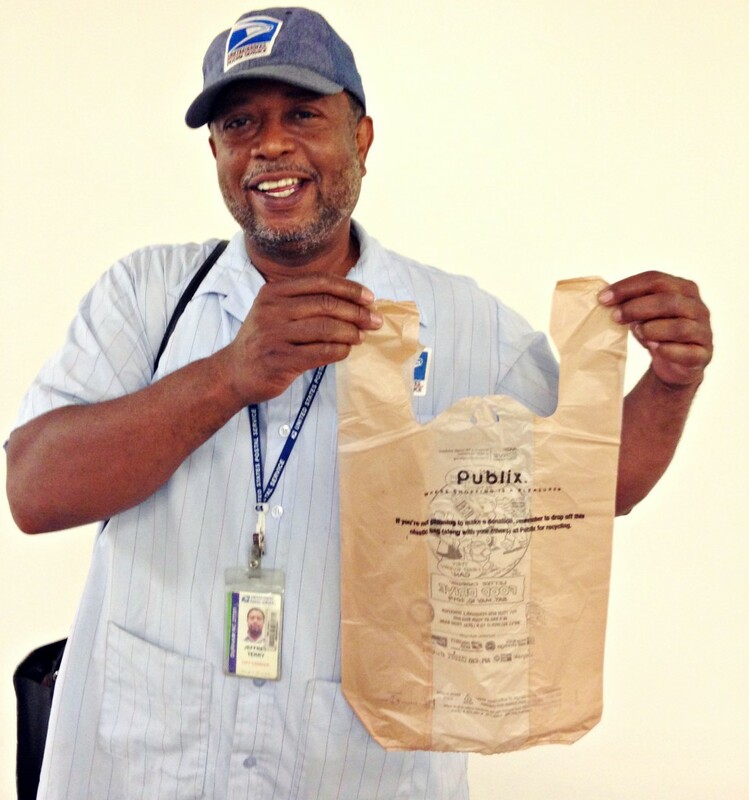 Your local letter carrier will do the rest! And the best part? All of the donations made within our region stay within our region. Your bag of food by your mailbox will help feed the more than 560,000 people struggling with hunger in our 34 county service area. That includes more than 43,000 seniors in our service area that are forced to choose between paying for healthcare or their groceries. Last year our region donated over 620,000 pounds of food. What can we do this year? What can you do this year? You probably received your postcard in the mail this week. Stick it on the fridge and remember to set your donations outside this Saturday, May 10! Sincere gratitude to our local partners supporting this year’s Stamp Out Hunger food drive: AARP and the regional coordinators Penny Houze, Jeff Terry, Tony Mainolfi, and Amber Blank. Also thank you to our national partners: Campbell Soup Company, AARP Drive to End Hunger, United Way, Publix, the U.S. Postal Service, the National Rural Letter Carriers’ Association, the AFL-CIO, Valpak, Valassis and Uncle Bob’s Self Storage. Thank you all for your support of the Food Bank and hunger relief across the country!